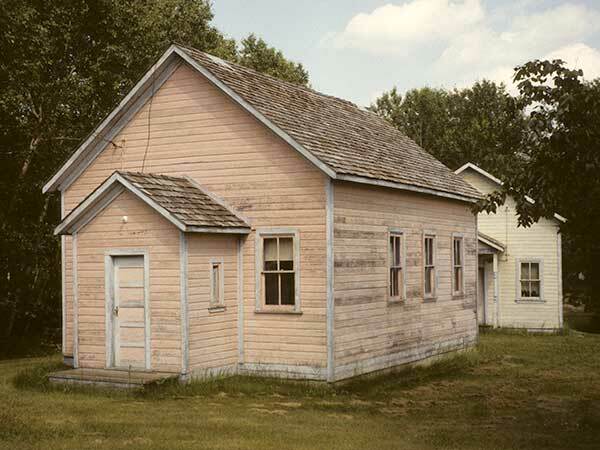 The Olha School District was established formally in February 1902 in what is now the Municipality of Rossburn, and a one-room schoolhouse operated from 1907 to 1930 on NW34-19-23W and from 1930 to 1964 at this site on SW2-20-23W. When the school closed, the remaining students went to Oakburn Consolidated School No. 255. 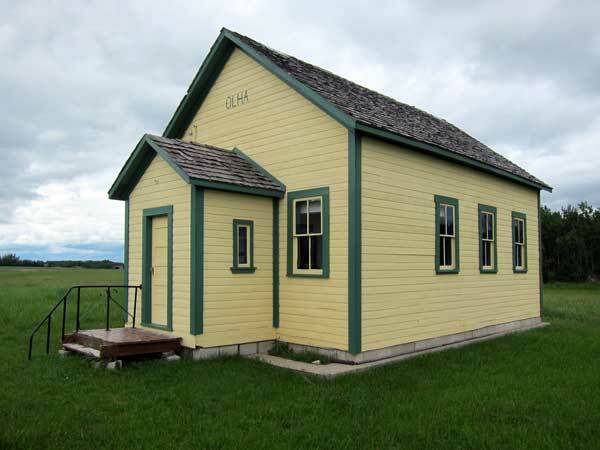 The school building was later moved to the Prairie Mountain Regional Museum but a commemorative monument and model remain at the site. 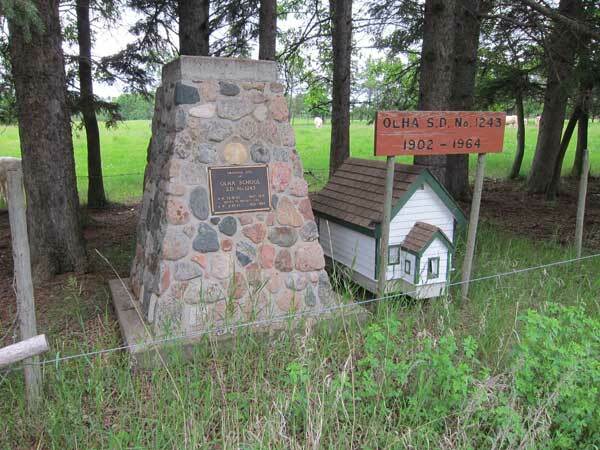 The teachers of Olha School included Mr. Saranchuk, Wasyl Kohut, Steve Lytwyn, Paul Semotiuk (1912-1913), Michael Nowosad (1913, 1916), John Ciupak (1913-1914, 1915-1916, 1919), Jacob Maydanyk (1916), Mr. A. A. Lechowicz [Lachowich] (1917), Olga Perch (1918), Eugene Kozlowsky (1919-1920), Nicholas M. Podworny [Podwarny] (1920-1921), J. H. Basarabowicz (1921), Peter Mitenko (1922-1923), M. Saranchuk (1924-1925), Mary Perch (1925-1927), Mary Melnychuk (1927-1928), Nellie Maydaniuk (1928-1931), Irene Helen Gayowsky (1931-1932), Helen Josephine Teresko Antonation (1932-1934, 1944-1947), Jean Emily “Jennie” Teresko (1934-1935), John Joseph Nowosad (1935-1937), Lena Hnatiuk (1937-1939), Walter Nowosad (1939-1941), Marie Janet Hawryluk Haluschak (1941-1942), William Walter Puyda (1942-1943), Agnes G. Kalinuk [Kalyniak] (1943-1944), Anne Wuschenny (1947-1948), Anne Sydor (1948-1949), Violet P. Popowich (1949-1950), Michael “Mike” Zosiuk (1950-1951), Elsie Alexandria Manulak (1951-1952), Margaret Anne Izzard (1952-1953), Margaret Josephine Woychyshyn Peech (1953-1955), Mary Bernice Budz (1955-1957), Phyllis Jean Kowal (1957-1959), Anne A. Prosyk (1959-1960), William Kozak, Mathew Metenko, Mrs. Braschuk, and Jack Haluschak. GR8461, A0233, C131-2, page 84. Source: Historic Resources Branch, Public School Buildings Inventory, slide 973. 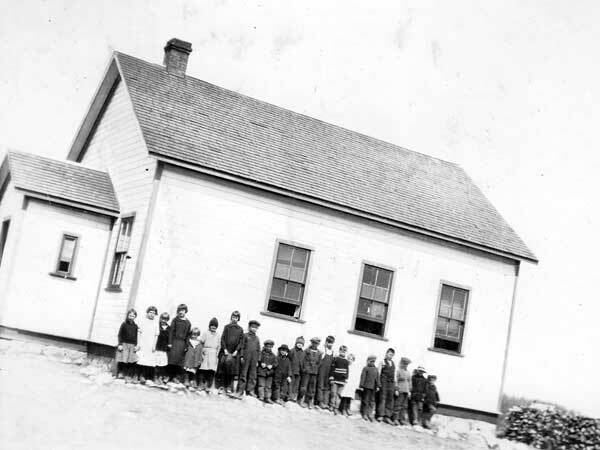 Manitoba School Records Collection, Olha School District No. 1243 Daily Registers, GR2061, Archives of Manitoba.